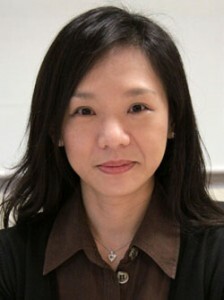 Goh Wang Ling obtained both her Bachelor of Engineering Degree in Electrical and Electronic Engineering and Doctor of Philosophy in Microelectronics from the department of Electrical and Electronic Engineering at the Queen’s University of Belfast (QUB) in United Kingdom. While working on her dissertation, she was also engaged as a research engineer at the Northern Ireland Semiconductor Research Centre (NISRC) in the same Department. She joined the School of Electrical and Electronic Engineering (EEE) as a lecturer in 1996 and became an Associate Professor in 2004. Dr Goh is with the Division of Circuits and Systems and had held various appointments both in the school and college level. She was the Associate Dean for Outreach & External Relations in the College of Engineering Dean’s Office from January 2010 to December 2012, Assistant Head of Division from September 2006 to June 2008, and Assistant Chair of Students from July 2008 to December 2009. Dr Goh has been conferred the 2010 National Day Award, the “Public Administration Medal (Bronze)” by the President of the Republic of Singapore. The honour is bestowed in recognition of her contribution to education in Singapore and to her dedicated service to the University. Dr Goh had also received various teaching recognitions at the university; she was awarded with the Nanyang Award for Excellence in Teaching in 2007; the EEE Teaching Excellence Awards (TEA) in 2005, 2006, and 2009; and EEE Students’ Choice Best Teacher Awards in year 1997, 2002, 2005, 2006, 2007, 2008, 2009, and 2010. Other than teaching awards, she also received Singapore Women’s Weekly Great Women of Our Time Awards, under the Science & Technology category in 2011. Dr Goh is a senior member of the Institution of Electrical and Electronics Engineers (IEEE), USA, and the Institution of Engineers, Singapore (IES). Dr Goh participates actively as advisory/technical committee member in various international conferences. She is also a technical reviewer for a number of international journals and conferences. Dr Goh’s research interests include digital/mixed-signal Integrated Circuit (IC) designs such as the channel characterization and telemetry system development, wireless implantable neural recording IC for motor prosthesis, 3D IC design for 100 GHz Application, Class-D amplifier, and the Field-Programmable Gate-Array-Based Investigation of Coding and Detection for Ultra-High Density Magnetic Recording. The Silicon-On-Insulator (SOI) process technology, SOI devices and Nanowire transistors are also of interest to her. Dr Goh has co-authored 1 international professional technical reference text, filed 16 patents, and published ~125 research papers in international journals and conferences. Dr Goh has trained a total of 18 research students (PhD/MEng), 4 PhD Interns, and 19 Master of Science (MSc) students. She is currently supervising 8 PhD students, 1 MEng student, and 2 MSc students. Field-Programmable Gate-Array-Based Investigation of Coding and Detection for Ultra-High Density Magnetic Recording. 1. Kuang-Wei Cheng, Xiaodan Zou, Jia Hao Cheong, Rui-Feng Xue, Zhiming Chen, Lei Yao, Hyouk-Kyu Cha, San Jeow Cheng, Peng Li, Lei Liu, Luis Andia, Chee Keong Ho, Ming-Yuan Cheng, Zhu Duan, Rajkumar Ramamoorthy, Yuanjin Zheng, Wang Ling Goh, Yongxin Guo, Gavin Dawe, Woo-Tae Park, Minkyu Je,. (2012). 100-Channel Wireless Neural Recording System with 54-Mb/s Data Link and 40%-Efficiency Power Link. IEEE Asian Solid-State Circuits Conference (A-SSCC) 2012, Kobe, Japan, (pp. 185–188). 2. Chang Liu, Yongzhong Xiong, Wang Ling Goh, Yuepeng Yan, and Lijun Zhang,. (2012). A 5-Gb/s Linear-in-dB Automatic Gain Control Amplifier with Temperature Compensation. IEEE Journal of Solid-State Circuits, 47(6), 1323–1333. 3. Jun Yu, Meng Tong Tan, Stephen M. Cox and Wang Ling Goh. (2012). Time-domain Analysis of Intermodulation Distortion of Closed-loop Class D Amplifiers. IEEE Transactions on Power Electronics, 27(5), 2453-2461. 4. Liu, L.; Zou, X.; Goh, W.L. ; Ramamoorthy, R.; Dawe, G.; and Je, M.,. (2012). 800-nW 43-nV/√Hz Neural Recording Amplifier with Enhanced Noise Efficiency Factor. Electronics Letters, 48(9), 479– 480. 5. Yong Wang, Wang Ling Goh, Yong-Zhong Xiong. (2012). A 9 % Power Efficiency 121−137 GHz Phase-Controlled Push-Push Frequency Quadrupler in 0.13-μm SiGe BiCMOS. 2012 IEEE International Solid-State Circuits Conference (ISSCC) (pp. 262 – 264).